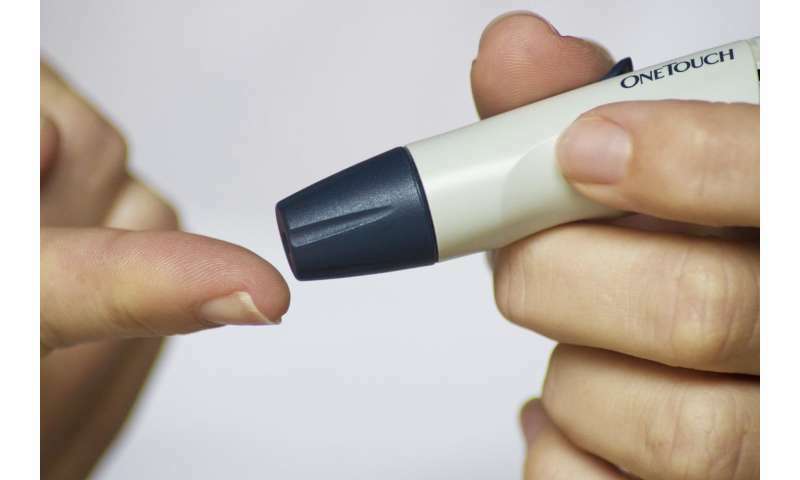 Using the hemoglobin A1c blood test to diagnose diabetes tends to underestimate the prevalence of the disease, according to a new study to be presented Saturday, March 23 at ENDO 2019, the Endocrine Society's annual meeting in New Orleans, La. "Based on our findings, A1c should not be solely used to determine the prevalence of diabetes," said lead researcher Maria Mercedes Chang Villacreses, M.D., of City of Hope's Diabetes and Metabolism Research Institute in Duarte, Calif. "It should be used in conjunction with the oral glucose test for increased accuracy." The hemoglobin A1c is a test that shows the average level of blood sugar over the past two to three months. People who have diabetes usually have this test to see whether their blood sugar levels have been staying within a target range. This test is also used to diagnose type 1 and type 2 diabetes. It is often used to diagnose diabetes because no fasting or any preparation is required. A glucose tolerance test, also known as the oral glucose tolerance test, measures the body's response to sugar (glucose). In this test, a person's blood is taken after an overnight fast, and then again two hours after they drink a sugary drink. The glucose tolerance test can be used to screen for type 2 diabetes. The new study included 9,000 adults without a diabetes diagnosis. The participants got both an A1c test and an oral tolerance glucose test, and the researchers compared the results. The researchers found the A1c test didn't catch 73 percent of diabetes cases that were detected by the oral glucose test. "The A1c test said these people had normal glucose levels when they didn't," Chang Villacreses said. "Our results indicated that the prevalence of diabetes and normal glucose tolerance defined solely by A1c is highly unreliable, with a significant tendency for underestimation of the prevalence of diabetes and overestimation of normal glucose tolerance," Chang Villacreses said.